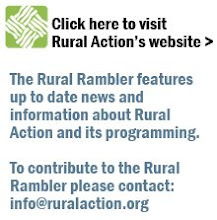 Rural Action is seeking to Fill 2 positions. Please Share this information with anyone who may be interested in applying. The deadline to apply for both positions is Friday, July 30, 2010. The GRO Wood Product Specialist will lead and direct the activities for Rural Action’s wood products work with the Central Appalachian Forestry Alliance (CAFA), funded through the Ford Foundation and the US Endowment for Forestry and Communities. Rural Action is embarking on a new project area designed to increase regional market demand for sustainably harvested and certified wood products. With increased demand, Rural Action will support the development of certified supply, from the landowner to the primary and secondary producer and retailer. As the lead organization for CAFA in Green and Regionally Oriented (GRO) Wood Products across Central Appalachia, in partnership with three other groups, this position will also support communication and strategy development for the project as a whole. This position is currently funded for 1.5 years with the possibility of extension. We are seeking a dynamic candidate, who can offer organization, leadership, and follow through with a sense of urgency and purpose. **** This is an amended position. If you have already applied to this position, you do not need to re-apply. If you previously saw this posting please note the change in education/experience. The Appalachian Carbon Partnership Outreach Specialist will work with the Forestry team and regional ACP partners to engage and enroll landowners in the Appalachian Carbon Partnership (ACP). The ACP is a forest carbon offset program geared towards privately managed forest in Central Appalachia. The ACP Outreach Specialist develops and implements marketing, promotion, and enrollment strategies, working as a team member to coordinate communications, administer client application intake, and provide excellent customer service to landowners and land organizations in Ohio’s Appalachian communities. The Outreach Specialist is also responsible for reporting to funders and partners and will work with the Rural Action Forestry team on fund development to ensure a successful program in Appalachian Ohio. Rural Action is a 501(c)(3) nonprofit organization in Southeast Appalachian Ohio. We have programming in Sustainable Forestry, Sustainable Agriculture, Watershed Restoration, Environmental Education, Recycling, and Energy. Rural Action builds model sustainable development projects and encourages a broad civic conversation around Appalachian Ohio’s assets in order to create sustainable development paths for the region.